Today’s meal is a corker, trust me. If you want healthy comfort food then look no further because this is like home in a ceramic bowl. This is a great dish if you have leftover bits of veg and you can chuck just about anything in this pot ! 1. Pre-heat your oven to 200 c. Wash, peel and cube your potatoes. Boil 1L of water to cover them in the pan. Simmer for 15 minutes or until a knife cleanly cuts through. 2. 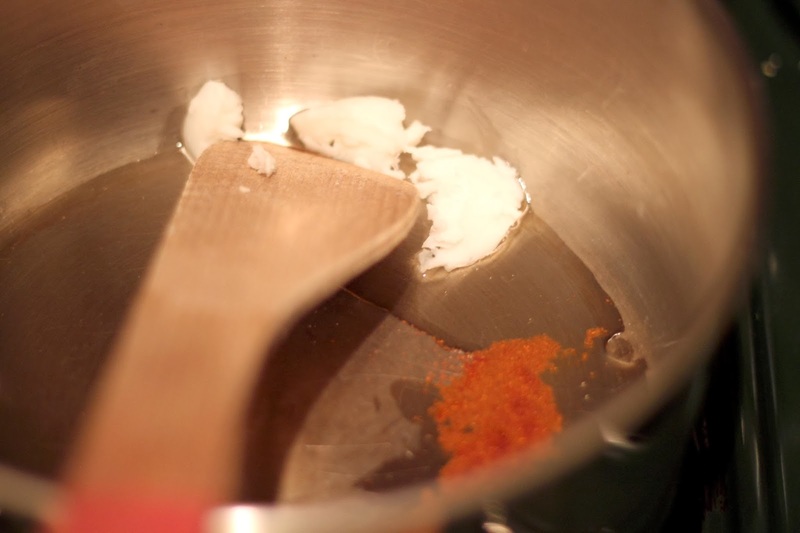 Take a pan and add a small amount of coconut oil and a tiny shake of cayenne pepper to add some heat. 3. Add your mushrooms and onions to begin softening and cooking, and then tip in your beans to get them hot. Keep stirring so they don’t stick. Turn the heat from high to a medium-low simmer. 4. Pour in the tomatoes to add liquid and get it heated. You can add 1/2 cup of water if you choose but you will want the mixture firm to ‘set’ like meat. Turn your heat up slightly to make sure the liquid boils. Add your herbs and stock cube here. 5. Cut your carrots and add to begin cooking, adding your kale and beans at the same time. Turn the heat down to a simmer for 5 minutes and place the lid on top. 6. Take the lid off your veg and allow liquid to reduce (if any). Turn the heat off, and then add your veg to the bowl. 7. Drain your potatoes and add milk if you want it creamier. Mash together to perfection ! Allow it to rest a bit, and take some pumpkin seeds and smash using some towels and a rolling pin to the consistency below. 8. Smother your mash across the veg and sprinkle with pumpkin seeds. Cook for 20 minutes. Serve with a garnish of fresh spinach. I’m so hungry for this right now it’s not even funny. This meal is delicious, it tastes and has the texture of meat but without all the animal and with the added healthy goodness ! The crunch adds a nice texture and it’s so mouth-watering I’m remembering it now…yum ! What are your thoughts on this recipe ? Don’t forget to support my photography here !